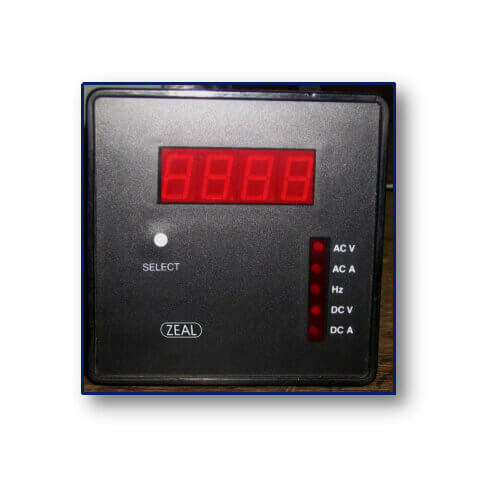 We are a most trusted name in between the topmost companies in this business, instrumental in manufacturing and exporting a high-quality array of Digital Panel Meters. This meter is available in single and dual line configurations, with Sunbright sunlight readable displays and extra-large LEDs. Most of these meters are UL and C-UL listed and features a NEMA 4X front. They can control up to eight relays, have 4-20 mA outputs and also a Modbus serial interface. 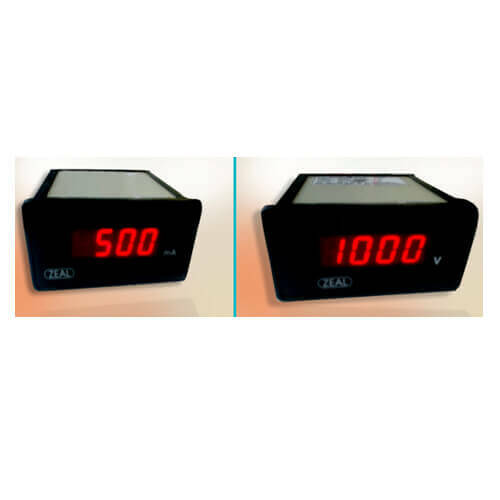 These digital panel meters has been recognized as the industries most versatile and have been expertly designed for a variety of applications. If a standard product does not meet your requirements, our experienced team of designers can quickly develop a custom solution. Gain, Offset setting for all parameters are accessible. AC Current As Per CT ratio ( 0.75 % rdg + 1 dgt) 0.1 Amp. DC Current As per shunt ratio ( 0.75 % rdg + 1 dgt) 0.1 Amp.